Charlyn Quiec, DMD, has been providing high-quality dental procedures and outstanding care to families in our community for over a decade. Patients throughout Monrovia and the surrounding area rely on her expertise, gentle technique, and supportive approach. Focus: Known by patients as “Dr. Q,” she offers general, cosmetic, and restorative procedures. Dr. Q is a certified Level II provider of Invisalign®, which helps in the aesthetic improvement of patient smiles. Expertise: Dr. Q has dedicated herself to continuing professional development and the use of high-quality technology and materials. She is a graduate of the University of the Philippines Dental School, at which she finished in the top of her class. Dr. Q is an active member of the American Dental Association, the California Dental Association, and the Monrovia Chamber of Commerce. Personal Commitment: Dr. Q contributes significant time to charities in our community. She supports at-risk youth by serving as a board member for the Boys and Girls Club; volunteers as an on-call emergency dentist for Foothill Unity Center; and occasionally visits Huntington Hospital with her trained therapy dog, Lollipop. Dr. Q lives in Monrovia with her husband Adam and their daughter Jasmine. Adam works from home as a graphics designer, film maker and board game developer. Adam and Charlyn have lived and worked in Monrovia since 2002. They enjoy traveling as a family and the occasional night out for dinner and a movie. Patients who come to Dr. Q Dental can receive general, surgical, and cosmetic care from a single practice. Our staff includes an experienced oral surgeon and an endodontist (root canal specialist.) We are supported by an assistant, registered dental assistant, hygienist, and insurance office manager. Beyond our expertise, what makes our team special is our commitment to a better patient experience. Not only do we follow all OSHA regulations and CDC guidelines, but you can expect to receive timely care, excellent communication, and personal attention. It’s our goal to make you feel as though you are visiting a friend’s home—not a dental office—so that you are comfortable at every stage of treatment. 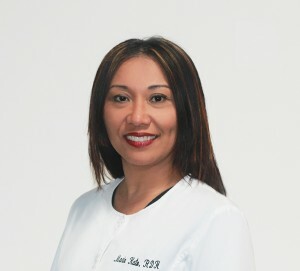 Marie Kato – Registered Dental Hygienist. Marie holds a Bachelors of Science Degree from the University of Hawaii. Marie began working with us in 2006 as Office Manager, and temporarily left to attend Dental Hygiene School. She returned to our office in 2013 and is now responsible for removing calculus and plaque from surfaces of teeth, oral health screening, administering local anesthetics and applying preventative materials (e.g. sealants and fluoride). She also teaches our patients proper oral hygiene. When she’s not providing quality care to her patients, Marie volunteers at local hospital’s health fairs, listens to live bands, enjoys salsa dancing and spending time with her family and friends. 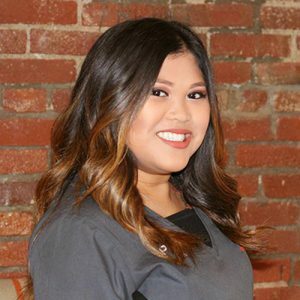 Jennifer Garcia – Registered Dental Assistant/Treatment Coordinator. 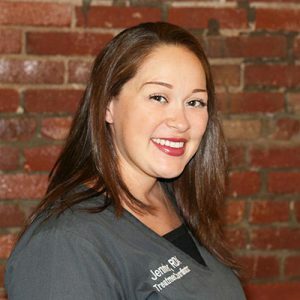 Jennifer has been in the dental field for almost 14 years. She enjoys being a part of a caring team who always puts the needs of the patients first. When not at work, she enjoys spending time with her Husband and daughter. Jennifer is also a huge Dodgers fan!! Patty Hierro – Dental Assistant. Patty is new to the dental field and she is planning on going back to school to become a RDH. She spends much of her free time with family and is a fan of the Lakers and USC Football. 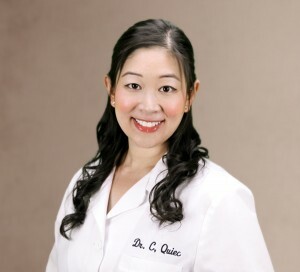 Get to know Dr. Q and her team by scheduling an appointment: (626) 599-9818. Dr. Charlyn Quiec, DMD has been recognized as one of the top Monrovia Dentistry practices.